For information about how to take care of your collection. Keep your treasured books safe! Hi everyone! I hope wherever you are, you are seeing signs of spring. We had a bitterly cold weekend, but I hope that was the last of the winter’s rage. Speaking of winter, and the cold, I thought now would be a good time to remind you that while books can last a very long time, they need to be cared for properly in order to do so. 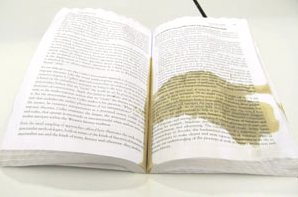 Important-to-remember rule #1: Moisture and books do NOT go well together. Try to keep you bookshelves on interior walls, and out of damp places like attics and basements. Mold loves paper, and it doesn’t need much help to start growing. As well as avoiding the damp, make sure you don’t jam books on your shelves if you’re running out of space (like I always seem to be). Proper ventilation around and through bookshelves will help keep your books from getting moldy or musty. Important-to-remember rule #2: Light damage is cumulative and irreversible. Have you noticed that posters or fabric that regularly get a lot of sun fade or discolor? Even things that might not get direct sun will fade over time, and books are just as susceptible to light damage as anything else. That’s why if you go to see a museum exhibit that features books, the lighting is very dim. And if you go more than once, the book(s) on display will likely not be turned to the same pages, because the curator wants to limit the amount of light that the pages get exposed to. 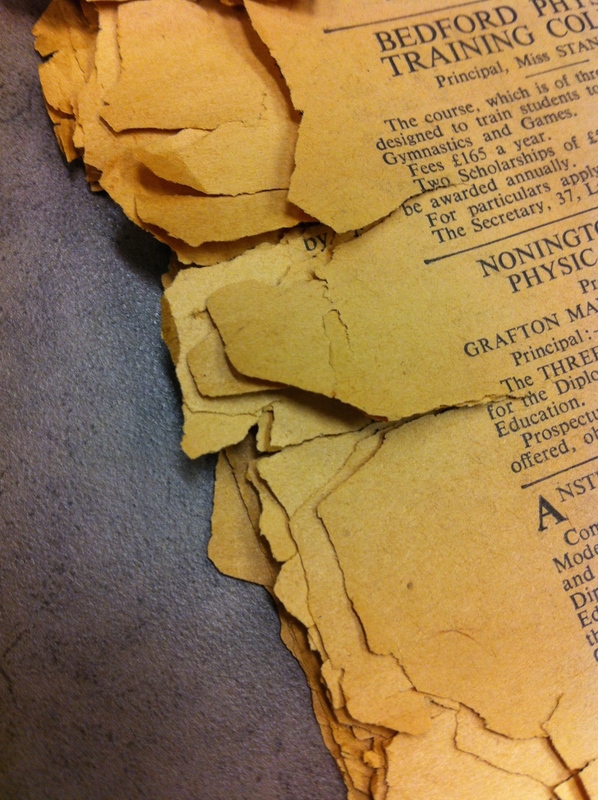 Light not only causes fading and discoloration, but it speeds the chemical breakdown of books as well, leading to brittle pages that crack and break more easily. Try to keep your books away from light, and especially out of direct sunlight. I’ll keep this post short and sweet, as those are the two biggies in terms of damage, and also the two causes of damage that are easiest to prevent. For those of us who don’t live in a museum, and who don’t have all the latest tech at our fingertips to control humidity and light, keeping your books out of the damp and out of the sun is a good start! Are Your Books in Good Hands? As we all know, books have been around for centuries, and many have survived to prove that fact. Tragically, most books printed today (mass market, trade publications) are predicted to last a mere 60 years. Why? Because of the mush they’re made of that breaks down quickly and is very acidic – unlike the rag paper that was used in the 15th century that still survives today. So while caring for your books may seem pointless if your collection is largely composed of recently published popular books, every little effort helps in making sure they last as long as possible. If you’re a regular follower of this blog (thank you!!) you will have seen various posts in the Healthy Books category here, but today I thought I would point the way to others who have also published quick tips on what to do (and what NOT to do!) to keep your books healthy. I just paid a visit to piktochart.com and created my first published Infographic. This tool is amazingly easy to use and I think every librarian should know how to create an Infographic. Visuals are everything these days, so if you want to convey a message to patrons, say it with graphics! 1. Keep food and drinks away from your books. For obvious reasons. 3. Support the covers of your books. Opening a book the full 180* (or even worse – more than 180*!) is very hard on the spine. This rule is especially important for old and fragile books. There are many different types, sizes and angles of supports, and they can be very easily constructed or purchased. 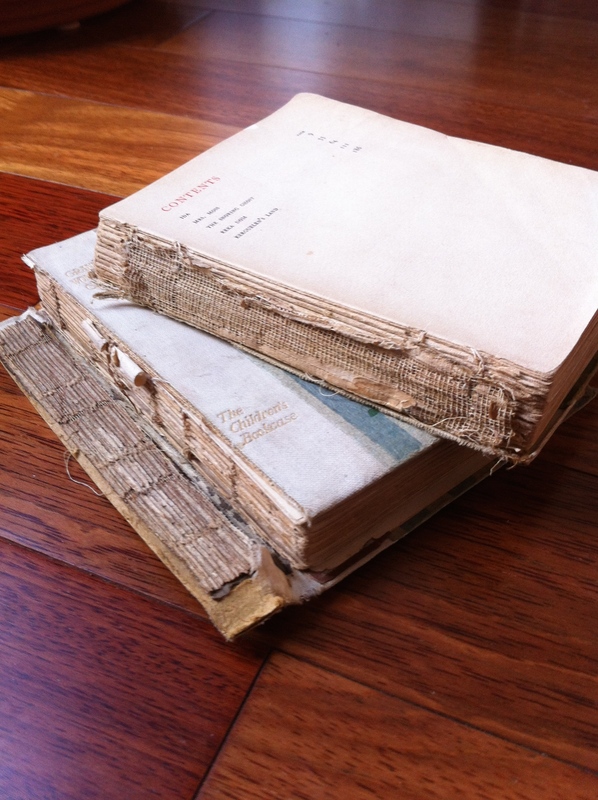 Do you have books that need some TLC? And maybe you were impressed by BookIdeas’ post from November 18, 2014, A Bookbinder Near You, but don’t have one near you? Or, perhaps you consider yourself pretty handy or crafty, or both, and think you could do those much-needed book repairs yourself, if only you had some instruction? Well. Look no further, because today’s post is for you! 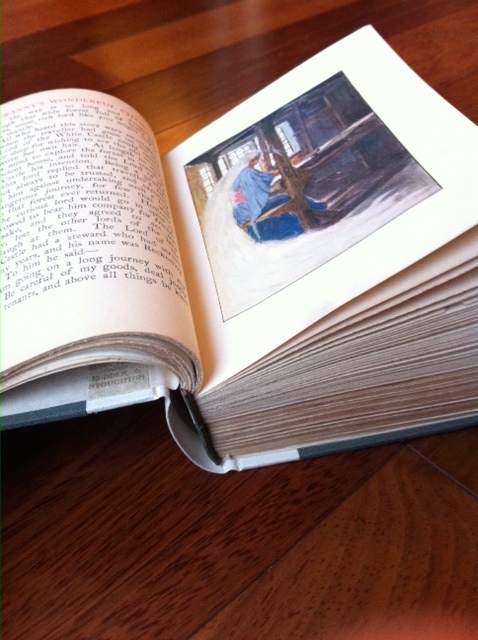 Book Repair Instructions has step-by-step guides for repairs on everything you can think of, including end papers, signatures, cleaning and repairing pages, spine repairs and more. Make sure to read the Glossary of Book Repair Terms first, though, to make sure you and the site’s author are talking about the same things. Book Repair Basics is also a vital early step, because there, the author touches on some very relevant points such as, Is my book worth repairing?, Book repair tools, How to make clam shell boxes, and other fundamentals of book repair. Good luck! May all your broken spines be mended, and all your corners be made strong again. 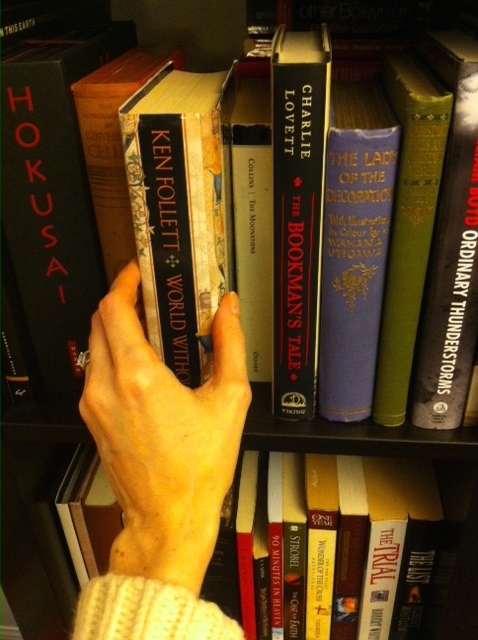 If you reach for your books by placing your fingers on the top of the spine and pulling them toward you off the shelf, you are not alone. Most people pull books off a bookshelf by tilting or sliding the volume towards them using the most obvious place to get a grip – the headcap, or row of stitching at the top of the spine. Pulling on the headcap, however, will eventually cause damage to the book. 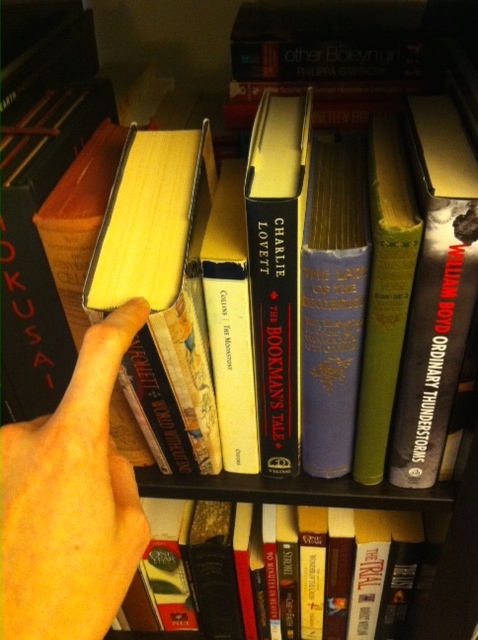 *This is the incorrect way to pull a book off a shelf. Instead, press down on the top of the page block and gently tilt the book out until you can safely grasp it on either side with your thumb and fingers. Another option is to push back the books on either side of the desired volume so as to leave a space for you to grasp the book on either side with your thumb and fingers. *This is the correct way to pull a book off a shelf. If you have a large book that can’t fit upright on your shelf, the best way to store it is lying flat. If space just doesn’t allow for that, store the book spine down. 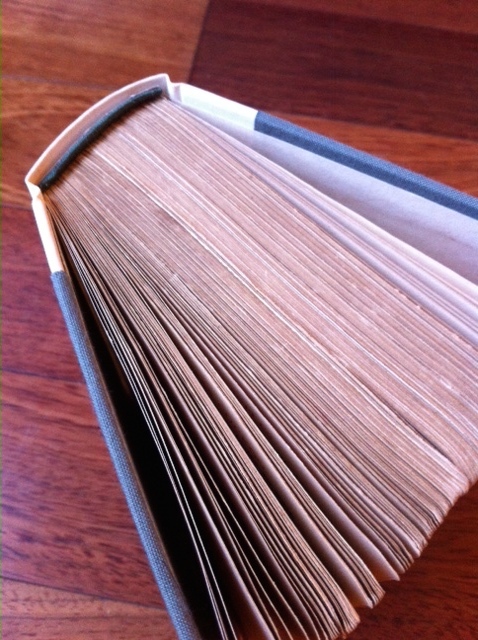 If you store your book spine up, the text block (all the pages) call fall out of the binding. 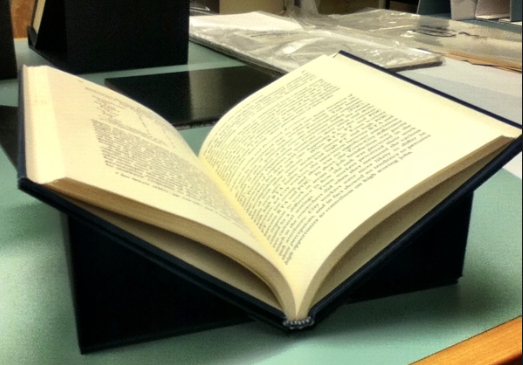 If you have a book that is fragile and needs support, the best thing to do is create a box made of archival-grade material that fits the book exactly and gives it the support it needs. The Northeast Document Conservation Center has a pamphlet on how to construct a protective book boxes, but if you don’t feel up to the task, contact a book binder or conservation centre near you to enlist expert help. If your bookshelf is overflowing, and it’s time to get another one, read this first. 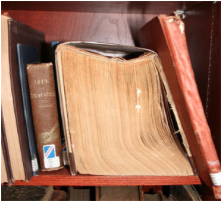 Did you know that your bookcase could be emitting acidic gases that damage your books? This post is likely a little intense for the average person who just wants to put their books somewhere off the floor. But if you have some precious old books, or if you want to take your love for books to the next level, you might find this information helpful. Fresh wood and wood-like substances (plywood, particle board, some laminates) that contain formaldehyde should be avoided due to the acids they emit. Formaldehyde emits formic acid, which can lead to fading pigments and weakened paper. 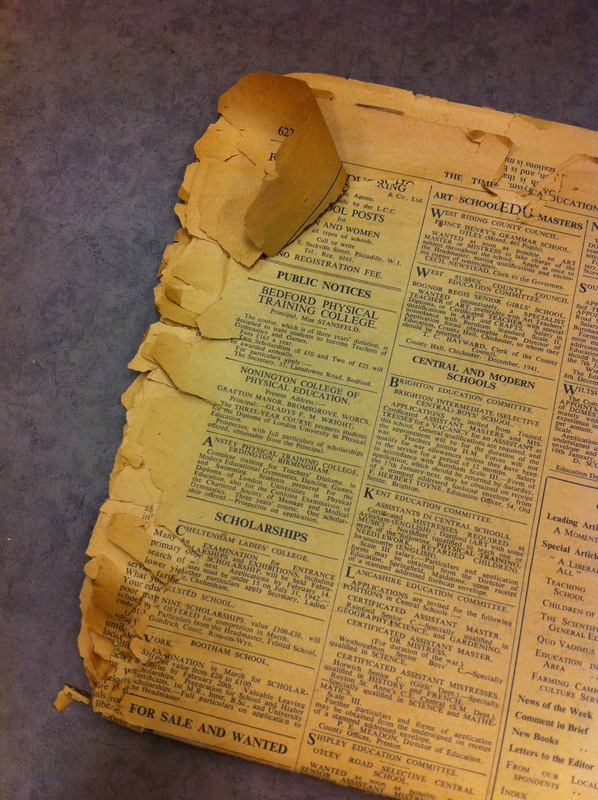 Paper that is stored near something that contains formaldehyde can then absorb the acid it emits, and we all know what happens with acidic paper: it becomes weak and brittle (see picture below). The paper in the images shown here has acid in it. The yellow colour and brittleness was not caused purely from being on a wood shelf. But the acids from unsealed storage can exacerbate problems in paper that is already acidic, and it can accelerate deterioration. If you have an old wooden bookcase, then the off-gassing has already occurred and it is okay for your books to be stored there. Just remember to keep the collection well ventilated. If your wooden bookcase is not old, however, you can seal the wood so it will not emit any gases. 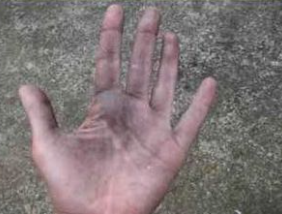 DO NOT use oil-based anything, as the oil will emit corrosive gases. But latex paint, or air-drying enamels are okay. More information on the subject can be found in the Northeast Document Conservation Center’s pamphlet on Storage and Handling. Does anyone out there have a book (or books) that looks like this? As you can probably guess, I do! Well, I did. The two books pictured above were my mother’s, and they were published in 1908. Clearly, they suffered a lot over the years, and I decided to take them to my local bookbinder, Don Taylor, so they could get a new lease on life. 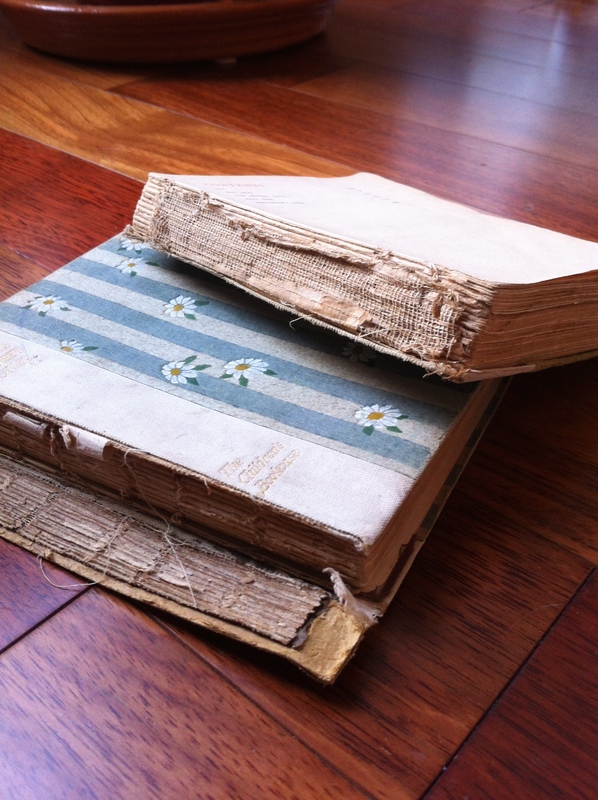 Restoration specialist Kate Murdoch worked on my book, and we discussed what should be done. I wanted the two books bound into one, since the one volume was missing both covers, and we hoped that the remaining covers could be salvaged. 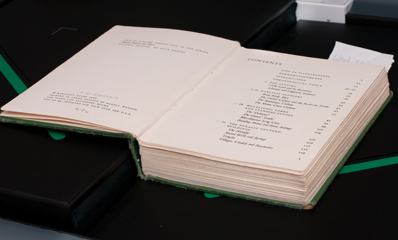 Kate resewed the pages, making the binding tight again (shown below). 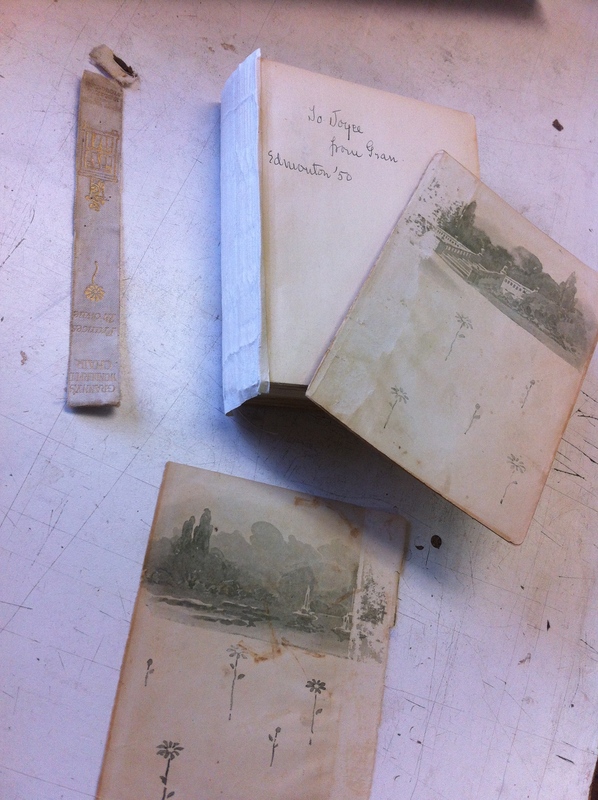 The beautiful endpapers were lifted from the original covers, but alas, the covers themselves were too weak and could not be restored. 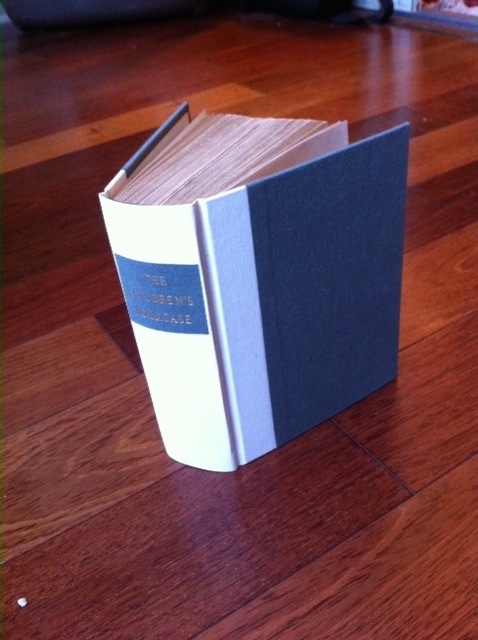 The end result (shown below) is a beautifully tight, crisp new volume that will be around for the next hundred years.